Dynamite Shrimp, crispy shrimp coated with rich creamy Sriracha mayo just like your favorite Japanese restaurant. Super delicious but very easy to make at home! I love Japanese food and I usually dine out once a week at Japanese izakaya or regular Japanese restaurants. One of the things I love about eating out in Japanese restaurants is the Appetizer menu. There are endless array of delectable dishes to choose from: agedashi tofu, chicken karaage, chawanmushi, gyoza, seafood dynamite, fried oysters with panko, and so much more. And all of them are so yummy and I could just order appetizers and be very happy. 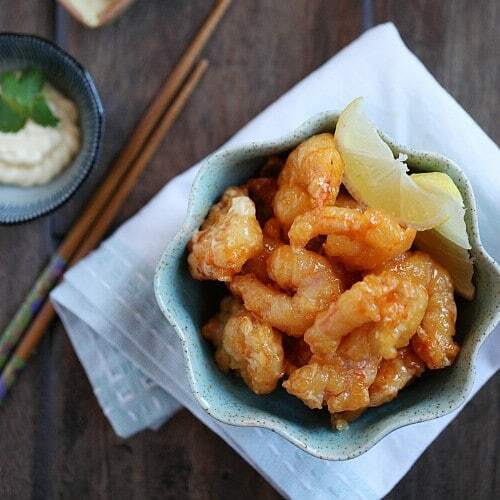 Dynamite Shrimp is one of my favorite Japanese appetizer dishes. It’s basically shrimp battered and deep fried to golden perfection and tossed with a honey-mayonnaise light dressing. Sounds really simple but they are oh-so-addictive. In my opinion, the best Dynamite Shrimp is made with rock shrimp, as rock shrimp has a nice crisp texture and perfect for this recipe. Anyway, rock shrimp is hard to come by unless you go to some expensive seafood specialty stores. For the mayonnaise, a little heat goes a long way and hence I used some Sriracha hot sauce for some extra zing. When I make Japanese dishes, I also make sure that I use Kewpie brand Japanese mayonnaise, which comes in a soft plastic tube with the iconic baby as the label. Dynamite Shrimp is a perfect appetizer to serve to guests or whenever you want to pamper yourself for a quick afternoon treat. I love this and never tire of eating it. I hope you like this recipe and get to make it soon! Dynamite Shrimp, crispy shrimp coated with rich creamy Sriracha mayo just like your favorite Japanese restaurant. Super delicious but very easy to make at home. Clean and rinse the shrimp with cold running water. Pat dry with paper towels and set aside. 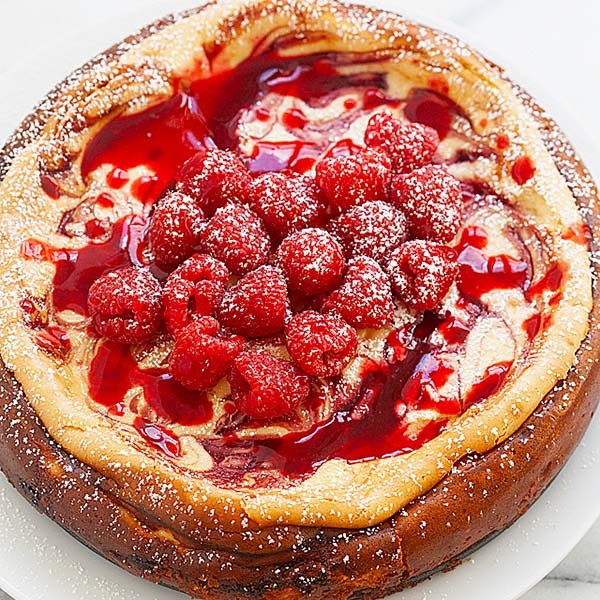 Prepare the Batter by mixing all the ingredients together. Prepare the Dressing by combining all the ingredients together. Add the shrimp into the batter and coat evenly. Heat up a deep-fryer or a pot with oil for deep-frying. When the oil is heated, drop each shrimp gently into the oil and deep fry until they turn golden brown. Transfer them out with a slotted spoon and transfer to a bowl lined with paper towels. Remove the paper towels and add the Dressing into the bowl and toss it around until all the shrimp are nicely coated with the dressing. Serve immediately. This almost looks like Honey Walnut Shrimp without the walnut :) I wonder if it taste like it also..
Shrimp is one of my favorite appetizers and this looks like a good one! Boys favorite! I have to try this recipe ,thanks. I’ve never seen this on Japanese menus here but they do look very similar to those hot and cold Chinese appetizers dishes that usually contain some fried prawns with sweet mayo dripping.One of my favourites! i love this. 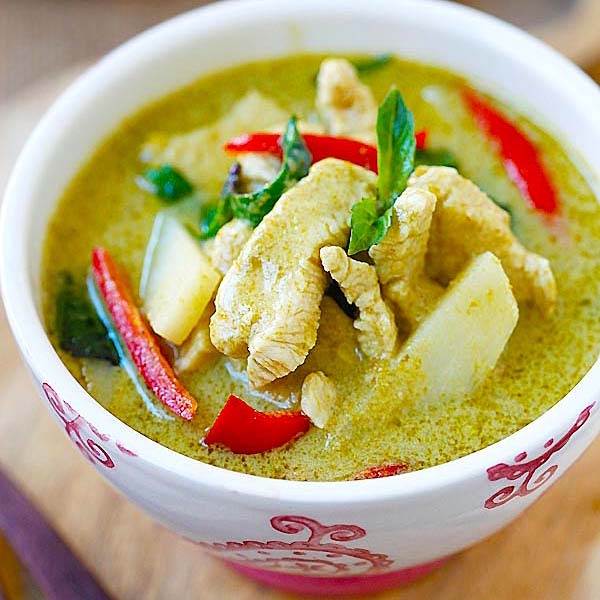 It has been widely served here in the chinese restaurants in Dubai. Will try out the recipe :) tnx. May I ask what is Sriracha? Is it spicy? Is there any substitute if its not available? Thanks! It’s Thai garlic chili sauce. You can use any chili sauce you like. 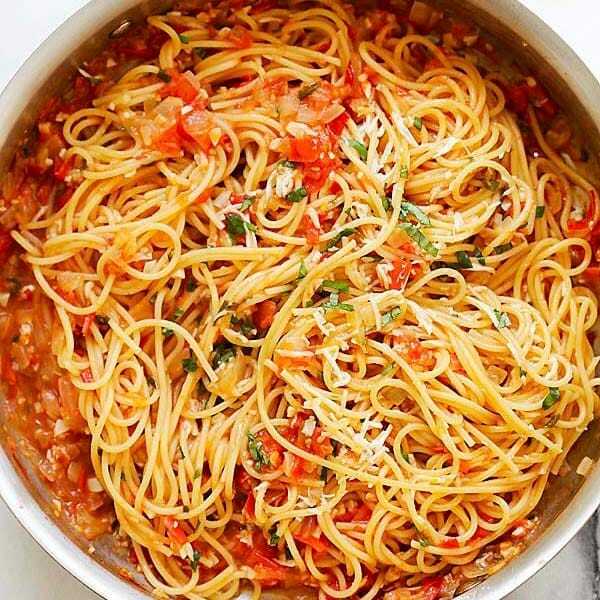 Thank you for sharing this recipes! We love it! As I put the shrimps in the oil, the batter came off from the shrimp. May I know why it happen? Coat thicker and make sure it completely cover the shrimp, if the batter is too watery, add a little more flour. Dredge the shrimp in rice flower prior too placing in the batter, this will allow the batter too stick too the shrimp when placed in the fryer! Bon Appetite!!! Thanks Robert for your great suggestion. Love the name of this dish, and it looks delicious too. Look forward to trying it this weekend! These look like they turned out really well, sometimes if you order something like it at a restaurant there is too much batter. Anything with shrimp in it does it for me… fried or not! Shrimp dynamite looks soft and humble, and cannot expect the dynamite taste from its looks! Love it! What else would you serve this with for a meal? I don’t have that information and not in my cookbook. Best batter recipe ever. Easy too. I added cracked black pepper, some chilli powder too. Love the dip too! Thanks for sharing. I grilled shrimp and made the sauce to dip in and it was delicious! can i use other brand of mayonnaise? 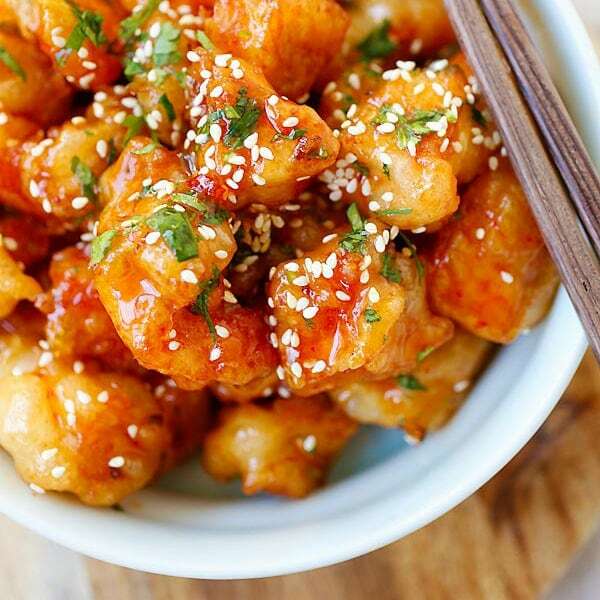 Is this very similar to the Chinese dish Honey Walnut Shrimp? The sauce is slightly different but same concept. I tried the recipe last night and it was AMAZING. I ended up adding ore siracha as I like it spicy. Thank you so much. Thanks for trying this recipe I am so glad you love it! This recipe was a game-changer for me! I quite often make Honey Walnut Shrimp, so it was fun to try this out as an alternative. Now whenever I buy shrimp, we have the hardest time deciding between Honey Walnut and Dynamite. More often than not, we end up doing both!